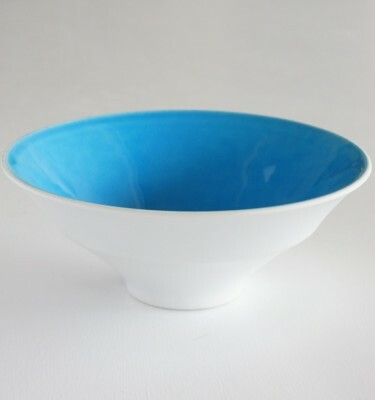 Turquoise blue of deep clarity was realized by using the traditional technique of Cochin. 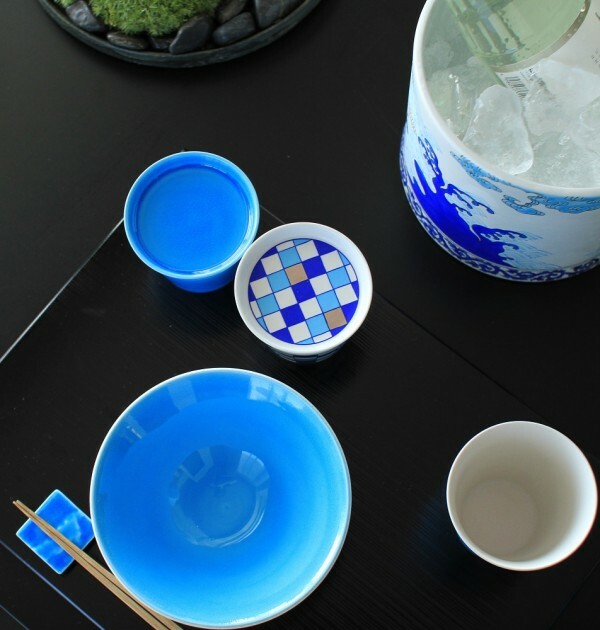 It is sprayed one by one by craftsman repeatedly many times to obtain such depth in color. The coating thickness, formulation of paint and firing temperature must be controlled in close attention, which can be realized only by skilled craftsman. 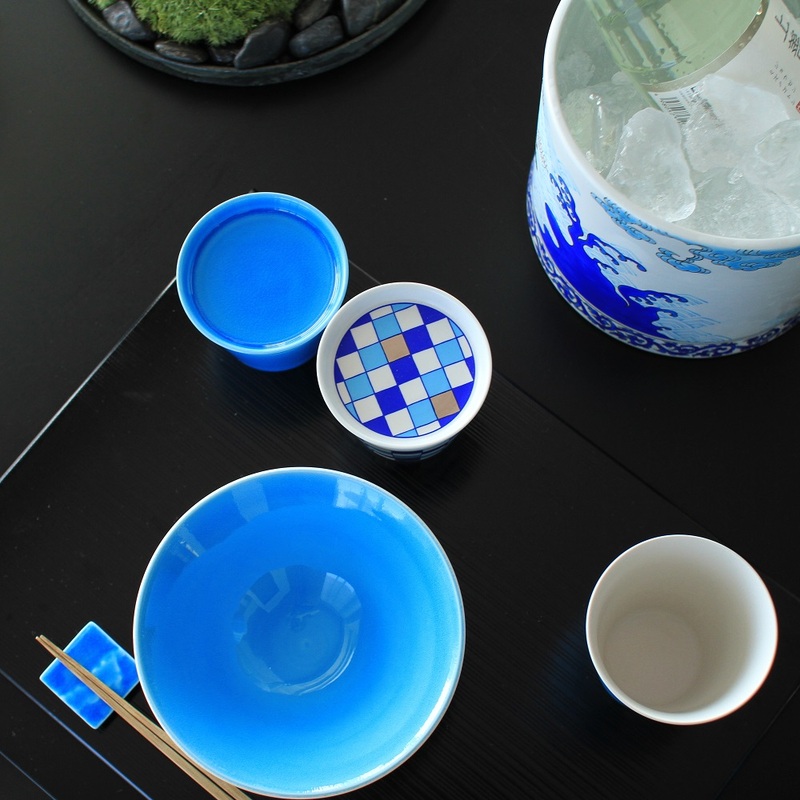 This elegant pearl blue was realized by handcrafts of brush painting our original blend of glaze and blue pigment. 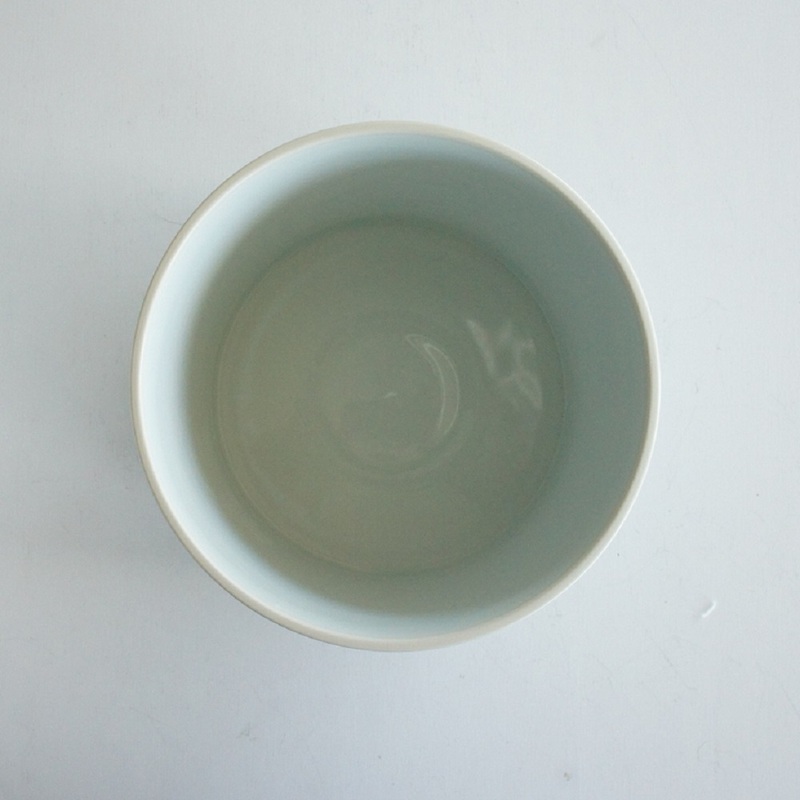 This rare radiant matte finish can not be obtained by glaze or paint only, and its color is adjusted by precise work of craftsmen. 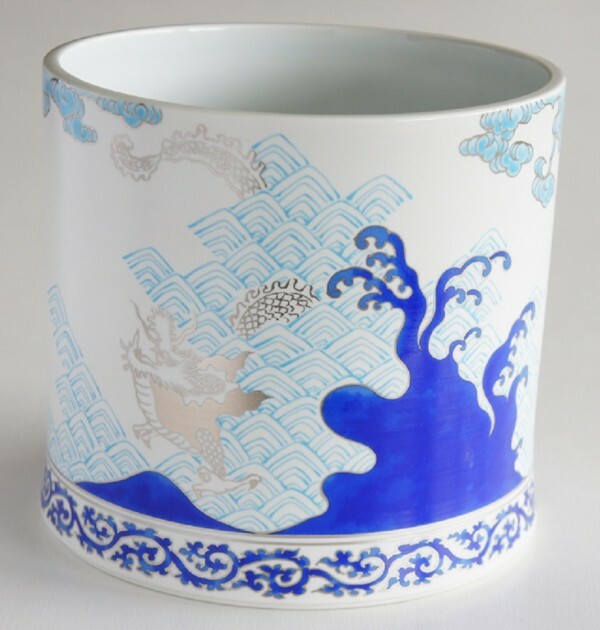 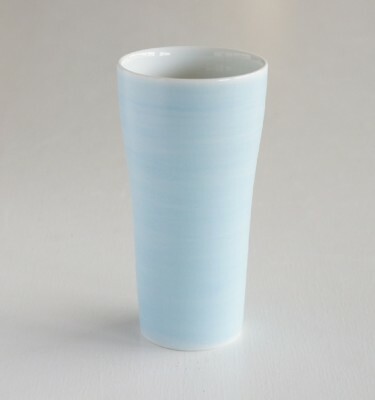 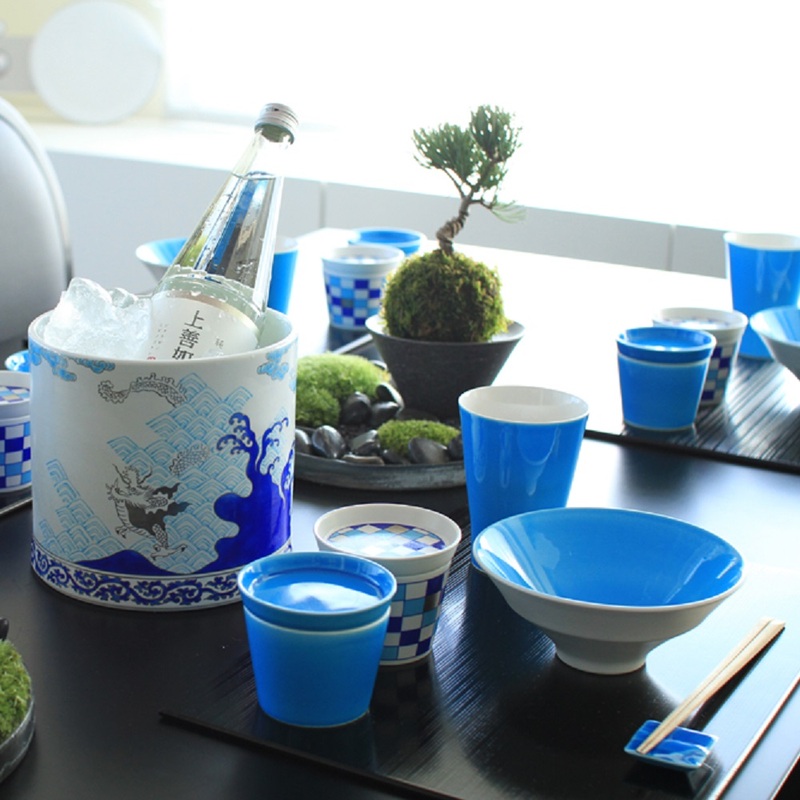 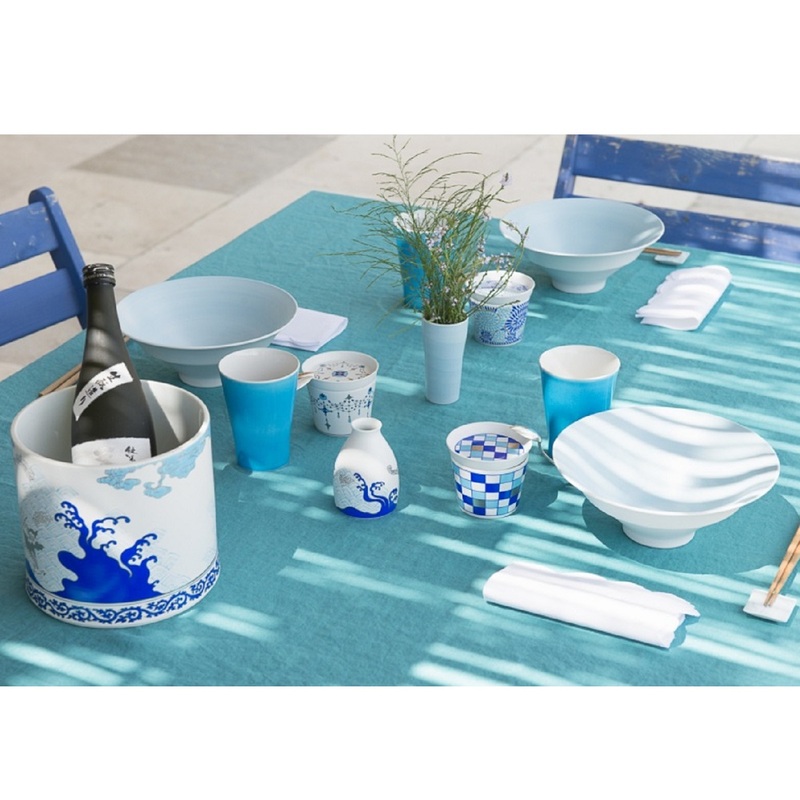 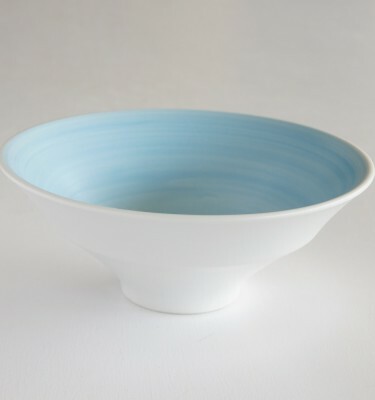 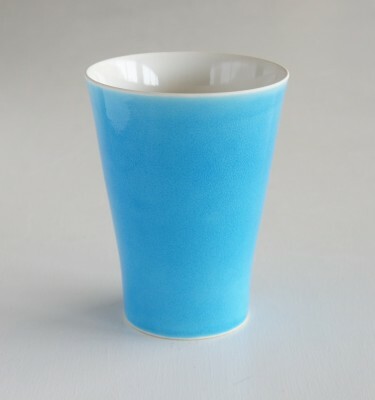 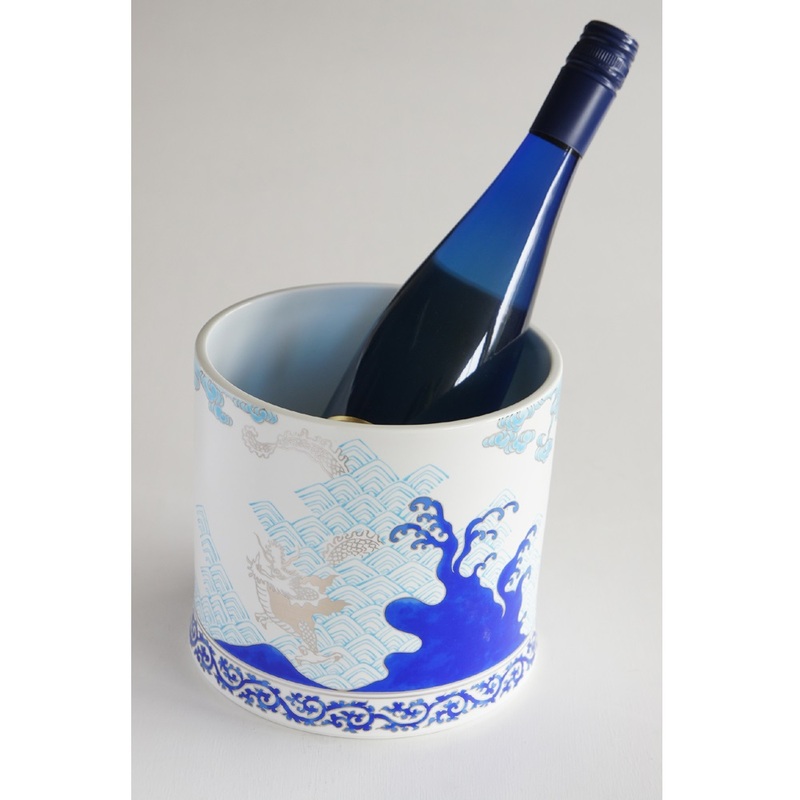 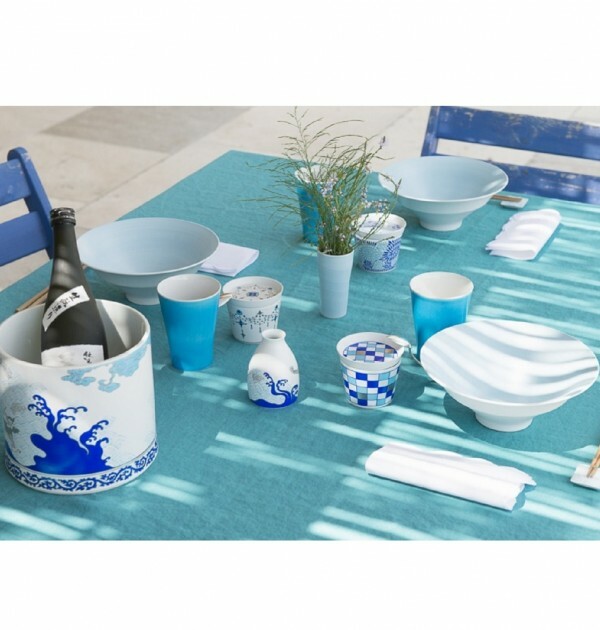 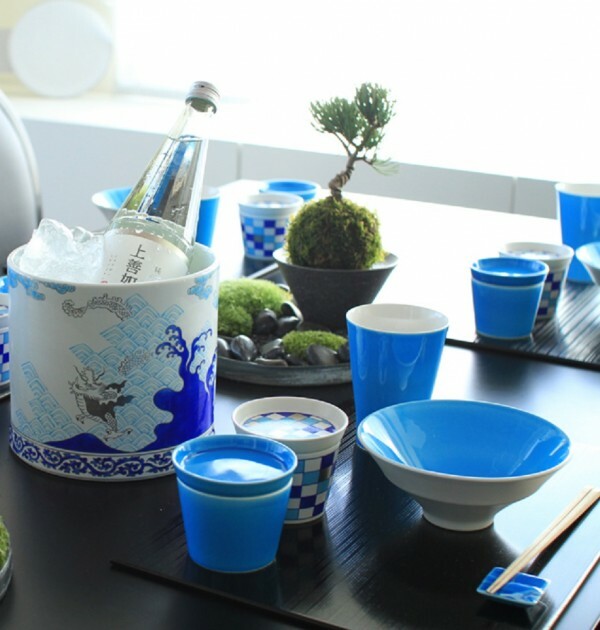 This cobalt blue was created by a newly developed technique, taking advantage of inherited 200 years of tradition within Yazaemon kiln. This deep blue was crated as the evolution of countless trials, and can be only obtained by hand brush painting by skilled artisans.